Habib Heydarian is a Program Manager on the VSTS Team Development group. His main responsibilities include the Visual Studio debugger, profiler, code coverage and pretty much anything related to troubleshooting and diagnosing applications. 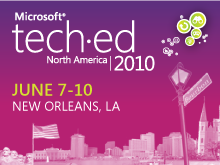 He joined Microsoft in 2000 and has been in the Developer Division ever since. Before joining Microsoft, Habib studied Computer Science at the Australian National University in Canberra, Australia. While not at work, Habib spends his time writing code for robots (or anything else for that matter), reading books, shooting hoops or chasing that elusive Yellowfin. One of his favorite possessions is a Washington state license plate with the label “RUNTIME”. 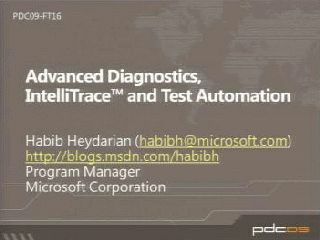 On his Microsoft Blog, Habib posts regularly about Visual Studio.